We have quite a lot to offer in this area. Some items are on the site but most are done on a quote - only basis. Please browse the catalog and send us your requirements for a written quote or for answers to any questions - Yes - We can offer custom fabrication for those special projects! This page will launch you into several catalogs and site sections within the catagories. Please email any questions or Send for a written quote. 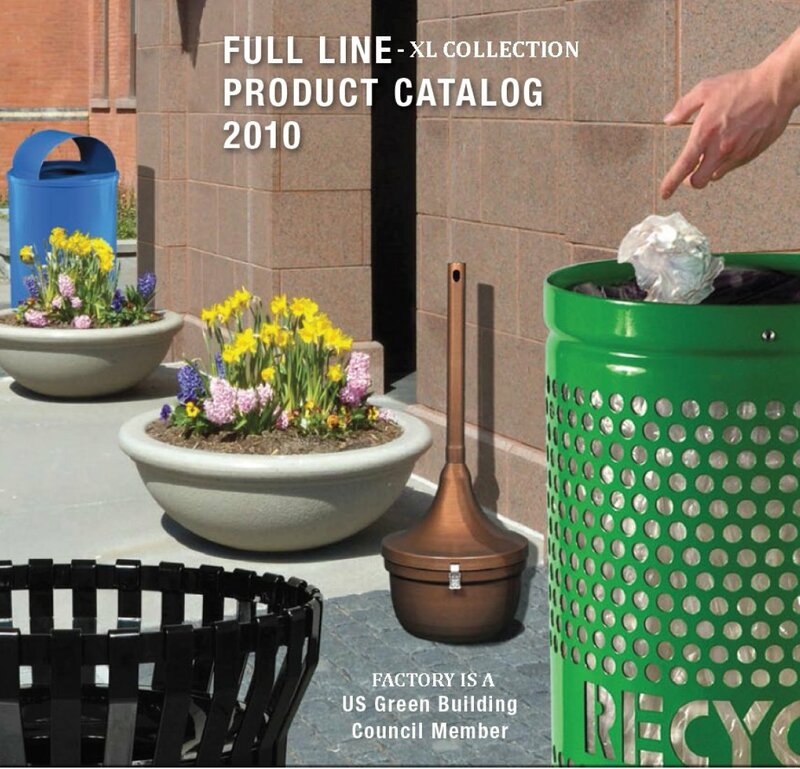 Many distinctive and Unique recycling solutions for Commercial, institutional, Business, Hospitality, parks, City Scapes, campus, event centers, sports stadiums, residential or other areas where requiring distinctive collection points. Please look through the catalog - note your requirements and Send for a written quote.. Matching Planters and Ash / trash receptacles also! All will eventually be added to our cart but for now please view and/or Download Catalog. 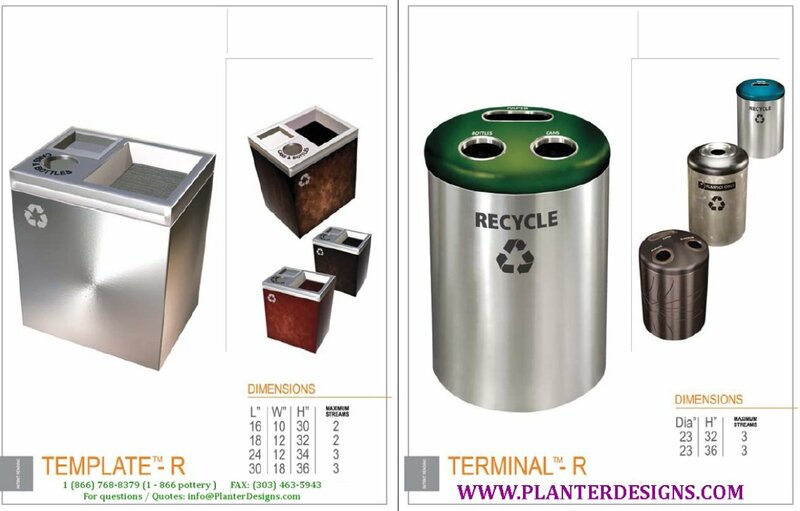 .pdf Catalog Send us your requirements for a quote. Also email questions for a prompt reply. Much more available - Send requirements for details...Send for details.